The market has been inundated with entry level mobile phones, as companies are trying to get a bigger piece of market share for their products. Some of the devices were just ordinary while others were unusually good. The companies that can launch innovative products have left their competition far behind, and the huge gap they have created between themselves and their nearest competitor cannot be reduced so easily. 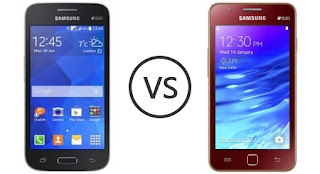 Two such products that were launched with others but soon caught the eye because of their features and their performance are Star Advance and the Z1 models of the Galaxy series. The Z1 is less pricey than the Star Advance, but the USP of the latter is that it supports the Android v4.4.4 KitKat operating system. It comes with a pre-loaded operating system. It also has support for 12 regional languages. It can give a very tough competition to the products of its kind manufactured by other companies. Z1 also has quite a few points going for it like a better camera, a higher capacity battery, and higher storage expandability. On the other hand, the Star Advance stands out for clear pictures that can be taken with the 3MP camera and LED flash. A front camera would have done wonders for this model as the world has woken up to selfies, and everyone seems to be crazy about taking selfies.